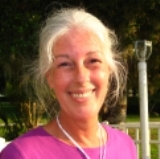 Lee Ann (Phillips) Young, 63, a retired Hotel Industry Accountant and later owner of Nail Fashions in Cocoa Beach passed away on March 13, 2019 in Rockledge, Florida. Lee Ann was an avid reader and great lover of words. For 20 years she coordinated Confederate Memorial Day services. She was heavily involved in living history presentations in Brevard Schools and other civic events. Lee Ann was an expert in decorum and dress of 19th century America. She enjoyed growing orchids. She held yoga classes for her friends at her home and Lee Ann was interested in homeopathic herbs, foods and aroma therapy. She loved training, showing and riding horses. and a large extended family.